Mother Teresa, was born Agnes Gnoxha on August 26,1910 in Skopje, Macedonia. Mother Teresa is the embodiment of love and benevolence, sharing it with the people of India for more than 45 years. At a very young age, she decided to become a missionary and left for Kolkata, India to serve the poor. Mother Teresa received training in Darjeeling and also in Ireland which ultimately led to taking her final religious vows in the year 1937. As stated by Mother Teresa, she experienced an inner voice or a second vocation dictating her to help the underprivileged in India. She considered her existence as a sole purpose to helping mankind. And, she kept working for the cause till God swept her in his arms. Mother Teresa had the qualities of a true role model-she was courageous and never demanded publicity for her work. Every deed completed, she believed was seen by God which was the only recognition she needed. 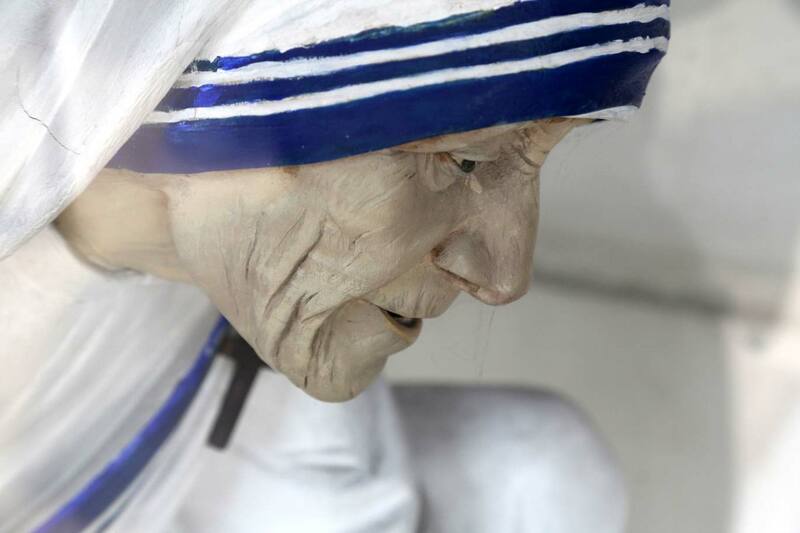 In 1950, she started a group in Kolkata now known as Missionaries of Charity in which members along with the traditional vows pledged to also give free service to the poverty-stricken. Amidst the chaos and poverty ridden life, Sister Teresa radiated warmth and compassion to all those around her. When she reached Calcutta, the city encased a million poor people mostly living on pavements. Seeing the deteriorated condition, she took up medical training in Patna, India and returned to treat the affected. A deadly disease which was creeping up in the slums of the city was Leprosy. She set up various health centers to provide the people with proper treatment and later on expanded the clinics to a leper colony. Mother Teresa’s work towards humanity, gained her many prestigious awards from all over the world such as the Padmashree award, Noble Peace Prize, Bharat Presidential Medal of Freedom, Jawaharlal Nehru Award, Pope John XXIII Peace Prize and many more. Here is order in which she received these awards. Mother Teresa also voiced her opinions about abortion, divorce and contraception to bring about awareness amongst the people due to the high illiteracy rate. To alleviate the poverty and illness around her, she gave herself selflessly to the cause not wanting anything in return, valuing every person caressing their soul with love and dignity. As one of the greatest inspiration of the twentieth century, the strength and power of her teachings still bides with us remaining a symbol of compassion to the world. The world was saddened by the loss of a beautiful spirit on 5 September 1997. The values she taught us through her contributions have taught us a lot, enlightening us with the miracles of invincible hope and extraordinary goodwill. With virtues at such unparalleled heights, Mother Teresa’s life bespoke the joy of living life to its essence. In the light of her services to humanity and miracles attributed to her name, Mother Teresa is to be canonized as “St. Teresa of Calcutta” on Sept. 4, 2016 led by Pope Francis.